I hope this isn't what we get in the newly redesigned model and it shouldn't be if they deliver on the originality like they've mentioned. Would like to see a double cab, but the bed they've placed on this isn't nearly big enough imo. Doesn't need to be full size, but not much utility offered here. This will be a far cry from what we see in the redesigned production model, but the proportions might be similar. I'm okay with the short bed, so long as it retains the ability to extend like we saw on the concept. I don't hate it, but its far too similar to their other crossover models. I do prefer it in the 4 door configuration and I hope this is something that Hyundai still considering for the production model. Multiple cab sizes might be dependent on whether Hyundai decides to release more than one bed as well. To reduce their production cost, they might just go monospec for launch. Once they've got some traction then they can consider expanding. Since the Ranger can't be ordered with a regular cab, that might be one way the Santa Cruz can capitalize on a missed opportunity. Many owners of previous gen models are looking for an exact replacement, and have no interest or need for backseats. Whether or not the SC can be used as a work truck will be dependent on the powertrain that Hyundai chooses. Ford has delivered some amazing numbers with the new Ranger and on a 4 cylinder no less. 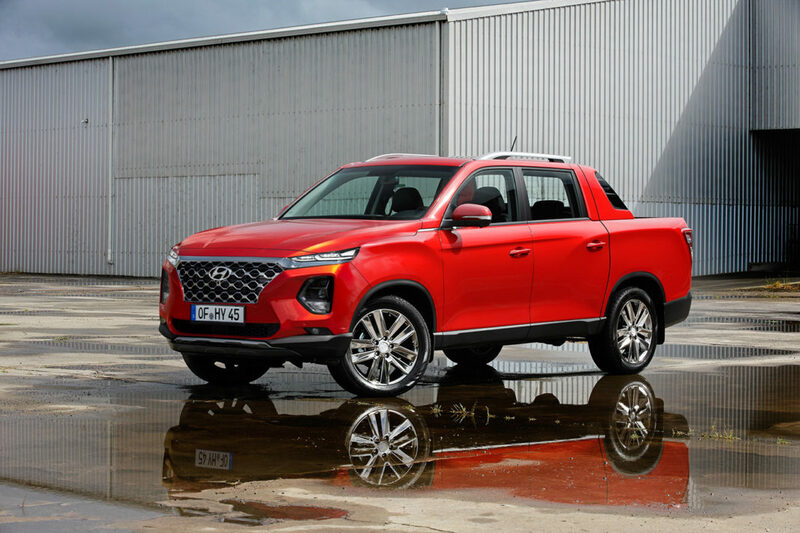 This rendering might as well be called the Santa Fe SUT because that's what it really is instead of what a true pick up should look like. Did they forget about the concept? There is no established criteria for what a pickup should look like. Its all about the versatility and capability of the platform underneath. The renderings are a step in the wrong direction because Hyundai has already said the SC will be much different than anything else in their lineup. Definitely not but we can't discount what Hyundai originally put out. Rare has any of their past concepts amounted to nothing, in fact they try to deliver on as much as they can. 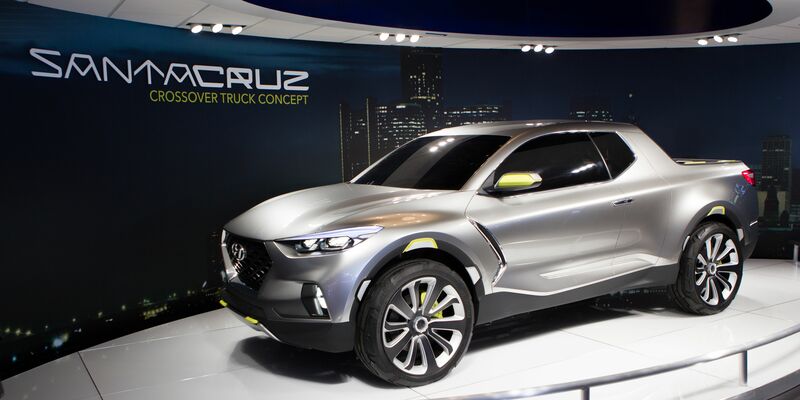 For the Santa Cruz that means a lot from this concept. Ford sells Ranger single cabs; just not in North America. I was hoping for 'halo' vehicle in Santa Cruz - a Mazda Miata. 2 seats (maybe some sort of 3rd jump seat), small box, light towing. Sell 10k/yr to enthusiasts, but more to get foot traffic into dealership to sell the bread and butter. 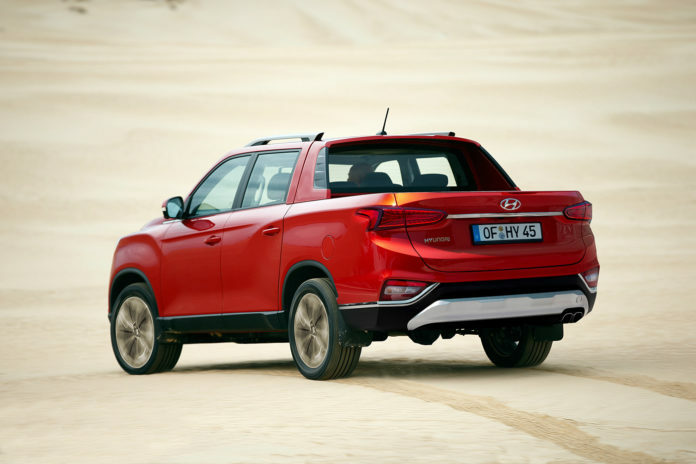 A unibody clone pickup isn't going to sell 30k /yr; there's too much competition now and Hyundai doesn't have a "name" for that market. So, if its going to be small volume; make it attractive to that niche market.